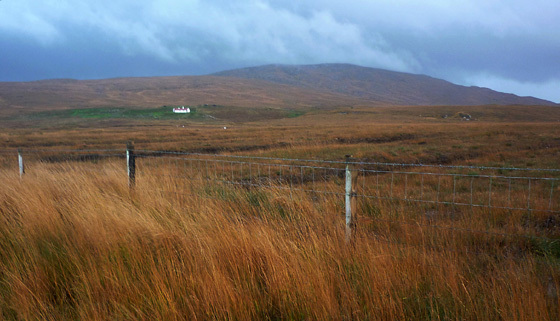 Picture from group : View SE to Croaghleconnel from the R252. Picture: View SE to Croaghleconnel from the R252. Park at B8557807434 A on the R252, beside but not blocking an entrance track into an old quarry. Walk 200m E along the road to B857074 B. Turn right and follow waymarked posts across a patch of trackless peaty ground and then a rough track to B855066 C C. Leave the track and go right (SW) up a long (1.7k) but gentle undulating slope to B8425906016 D on the N end of the summit ridge (obvious in clear conditions but an important checkpoint in mist). 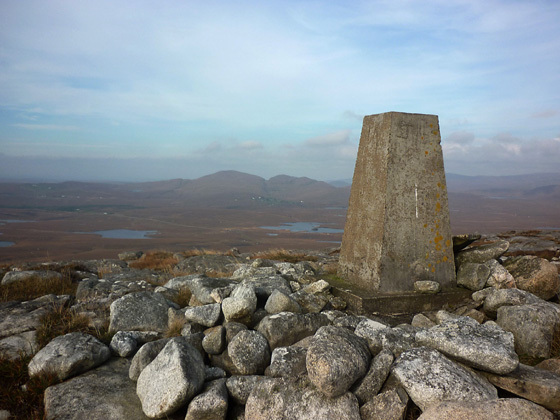 Turn left (S) and follow along the rocky ridge for 350m to the summit marked by a cairn and trig pillar.